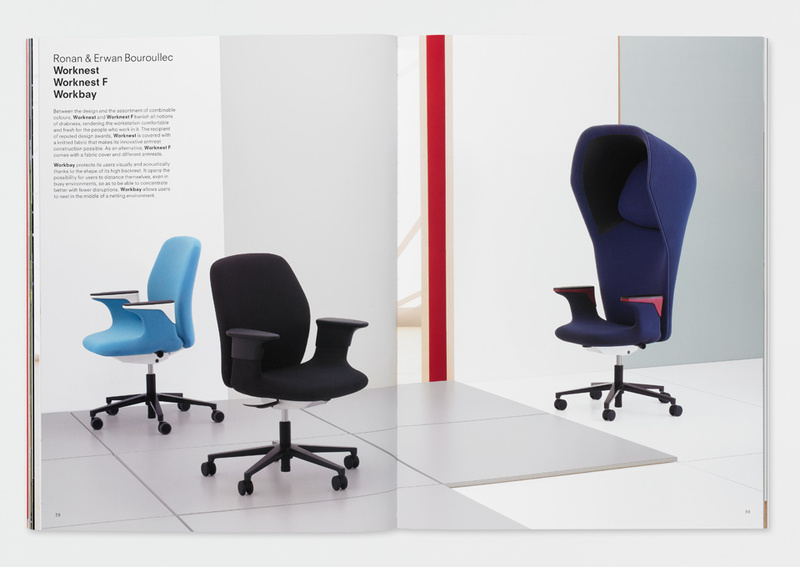 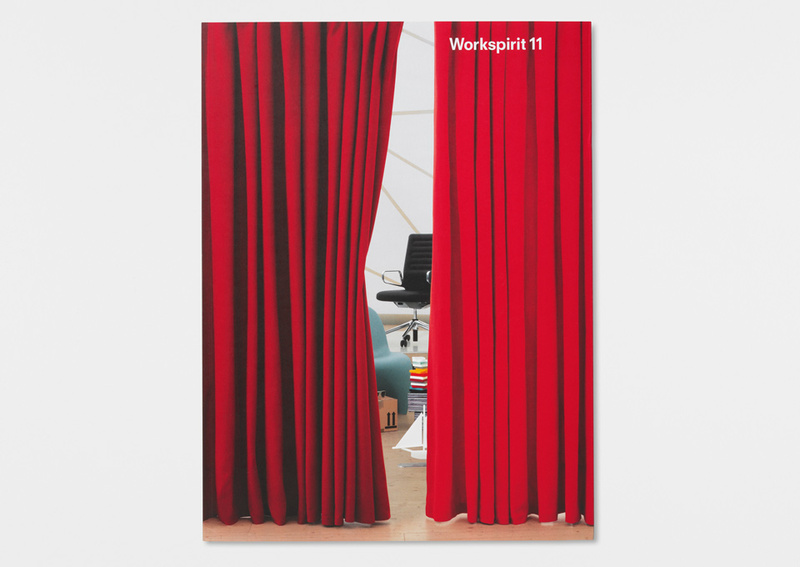 For over 20 years Vitra has published Workspirit, a biannual journal on the subject of work. 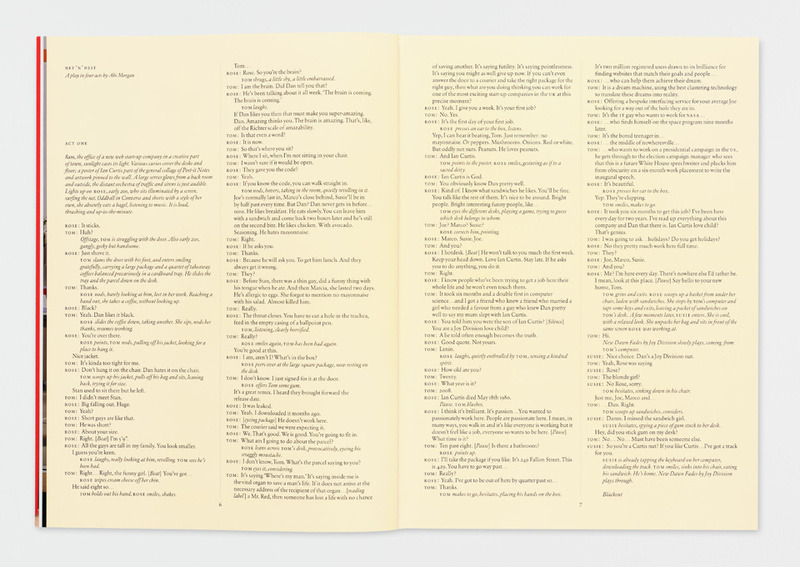 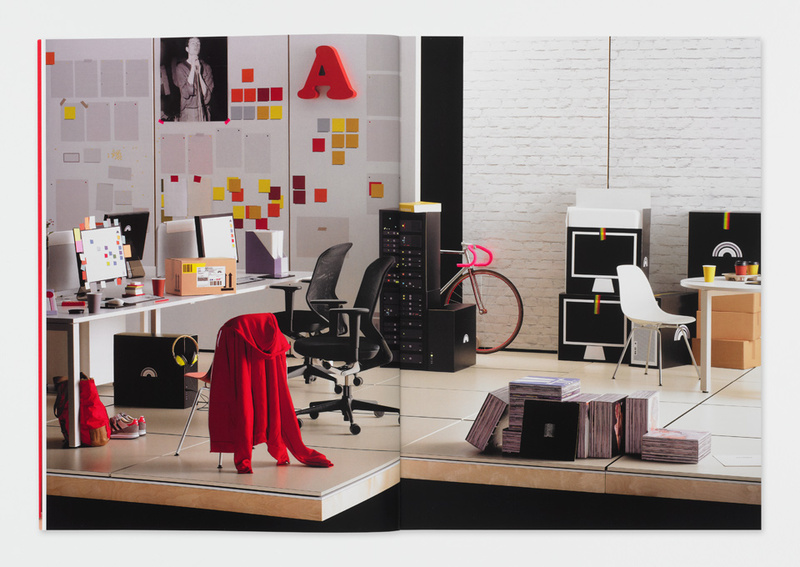 Previous designers have included Tibor Kalman and Irma Boom. 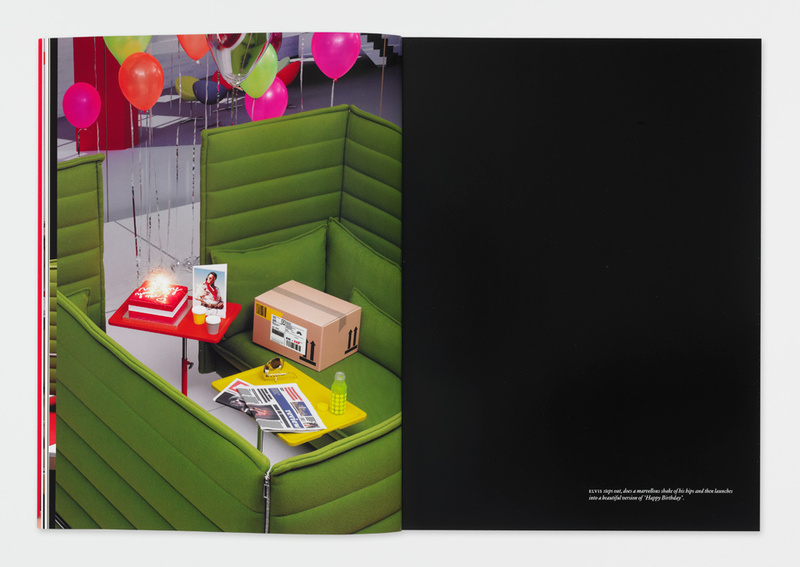 For the 11th issue, GTF commissioned a four-act play from writer Abi Morgan, set in the offices of four very different businesses. 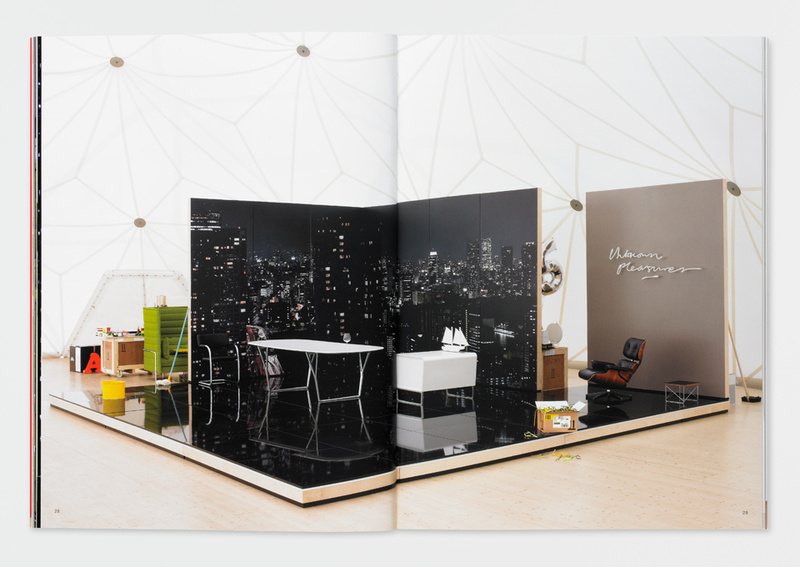 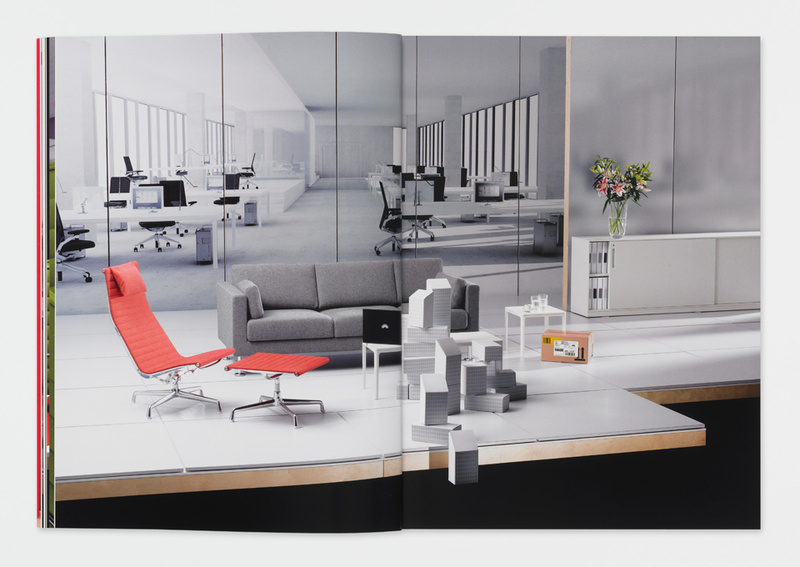 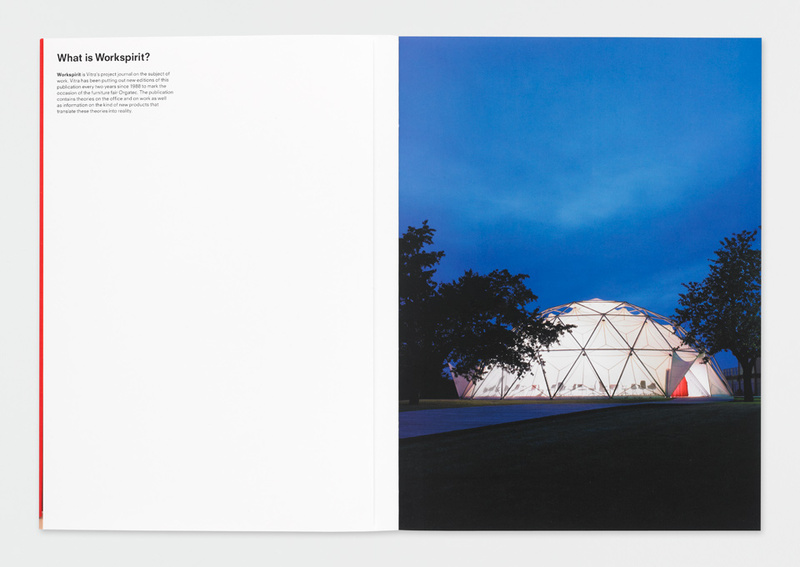 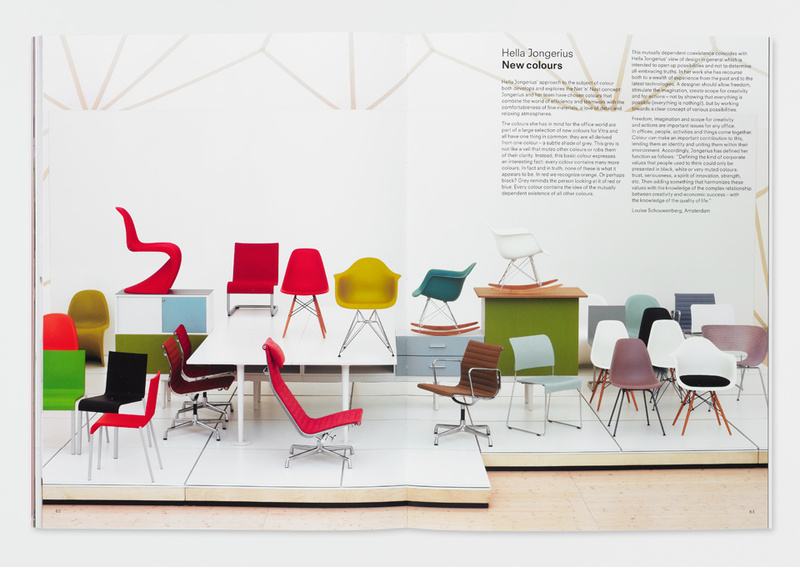 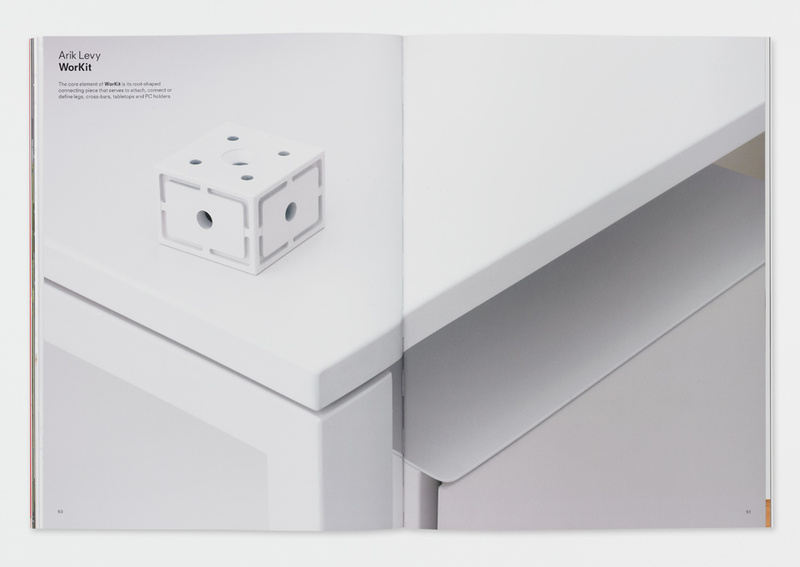 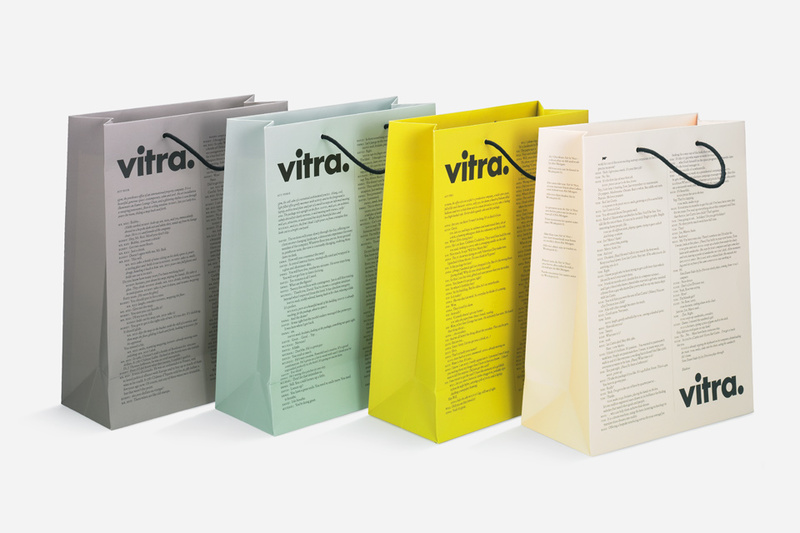 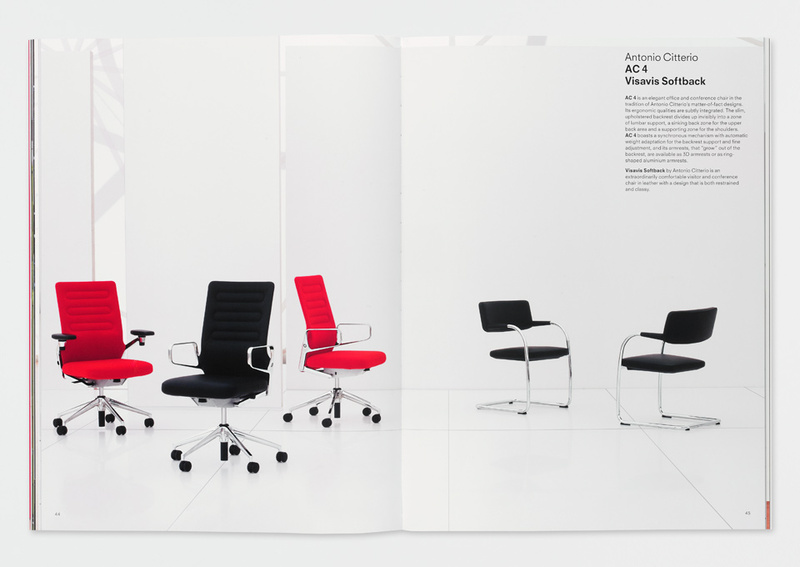 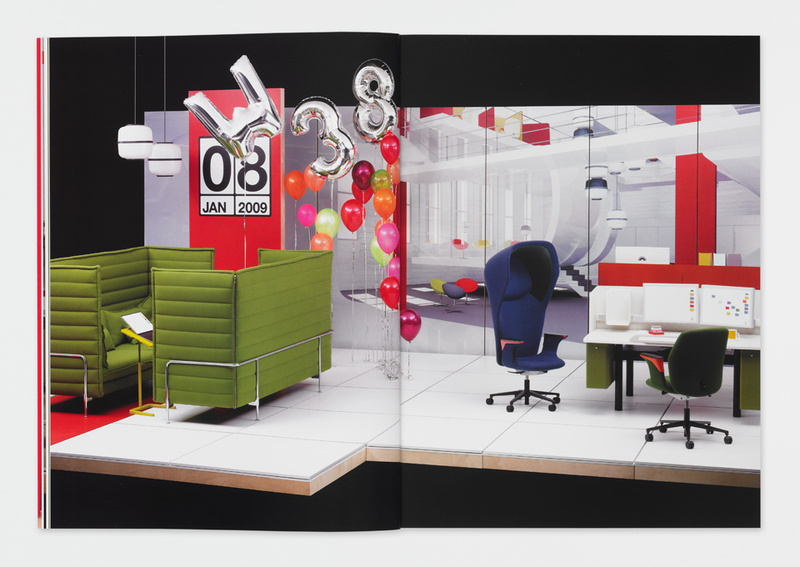 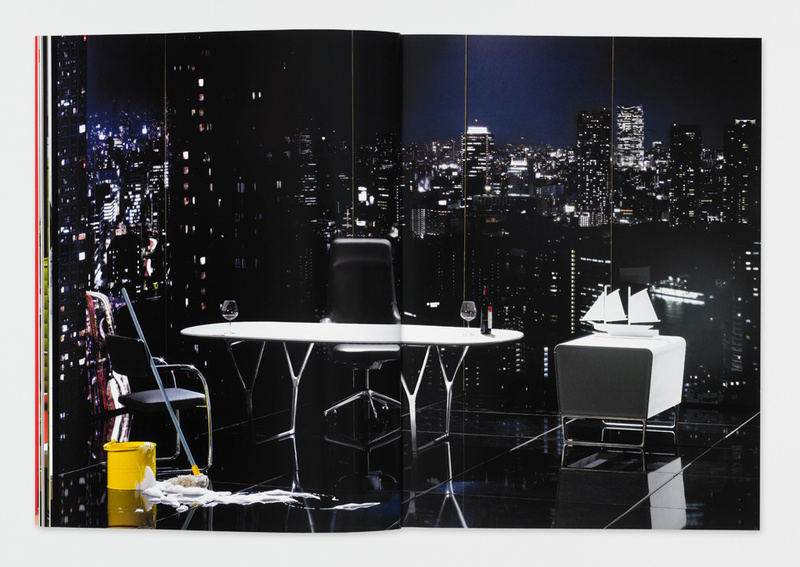 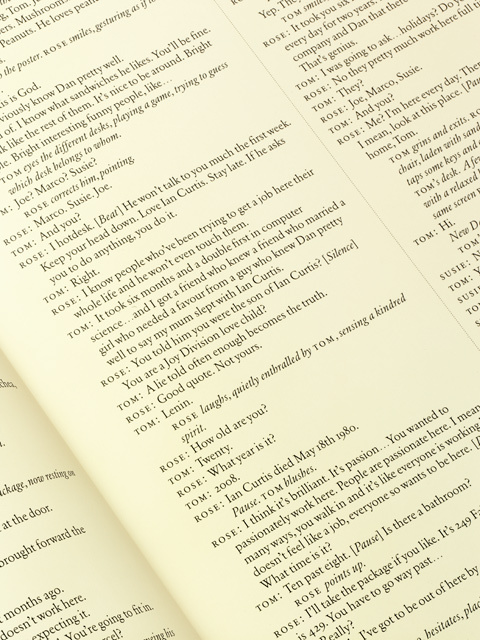 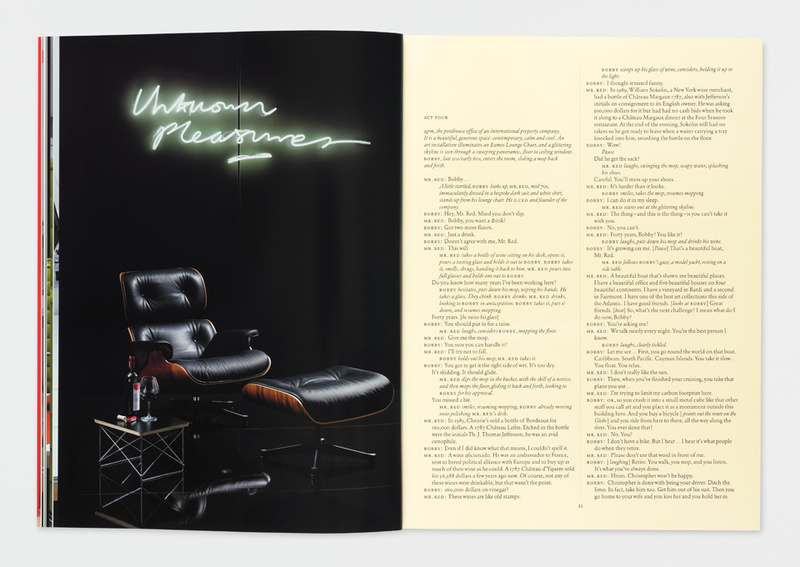 The script was illustrated with photographs of full-size stage designs created by GTF, while the back of the book showed Vitra’s cast of products waiting backstage.